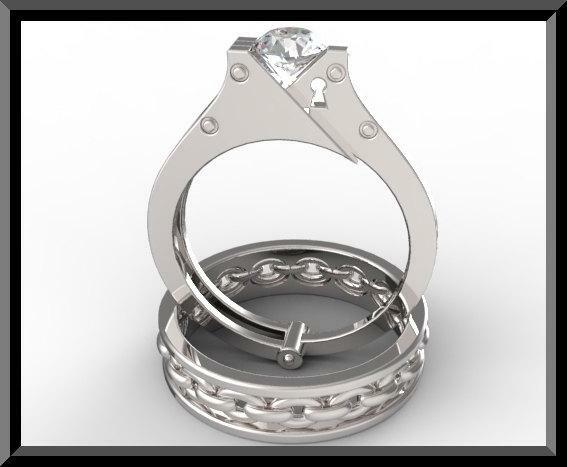 When you see this Handcuff Wedding Ring Set, you won't be able to say "YES!" quickly enough! metal/weight/detail: 14K white/yellow/rose, about 5Gr. 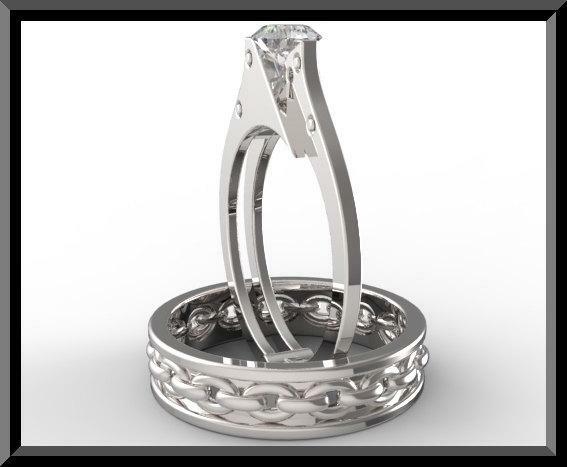 metal/weight/detail: 14K white/yellow/rose, about 2.5-3Gr. 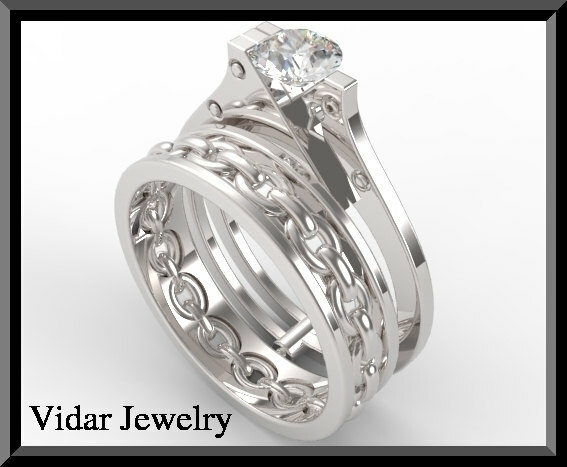 *At checkout specify yellow or white gold. ssk for different karat pricing. size: please include your size at the "message to seller" during checkout. 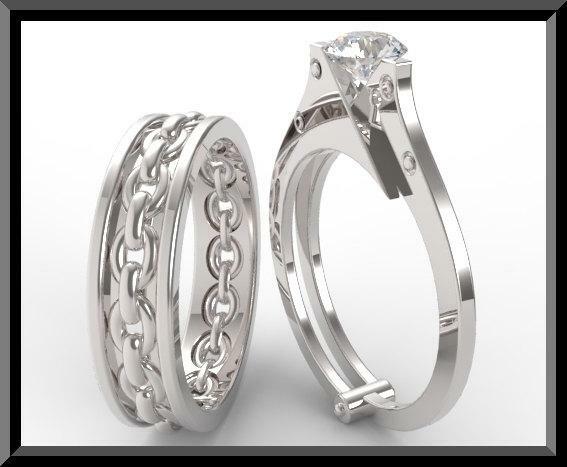 the price is for ring up to size 10. can be made to any size requested, ask us about it. shipping time: 3 weeks. need it rushed? please convo me and i will do my best.